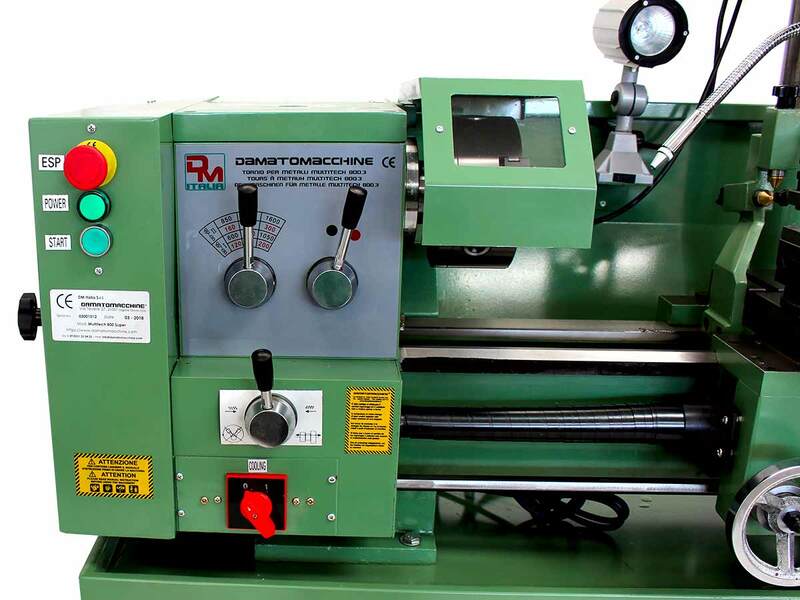 It 's the best metalworking combo machine by damatomacchine. 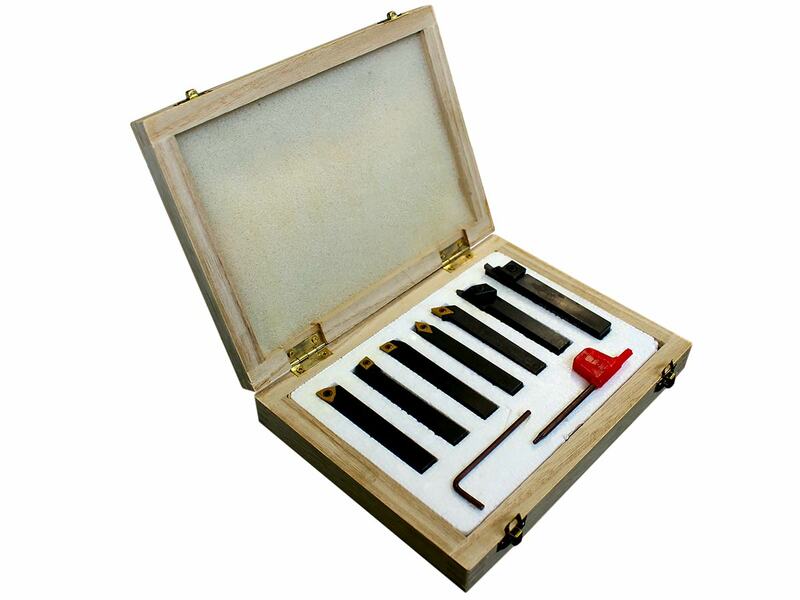 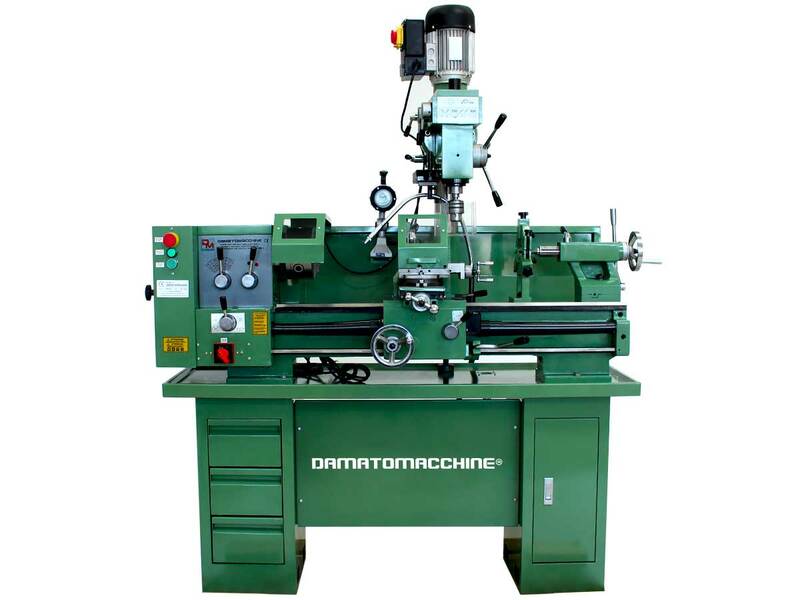 It is a professional machine with a robust metal structure and cast iron finishes. 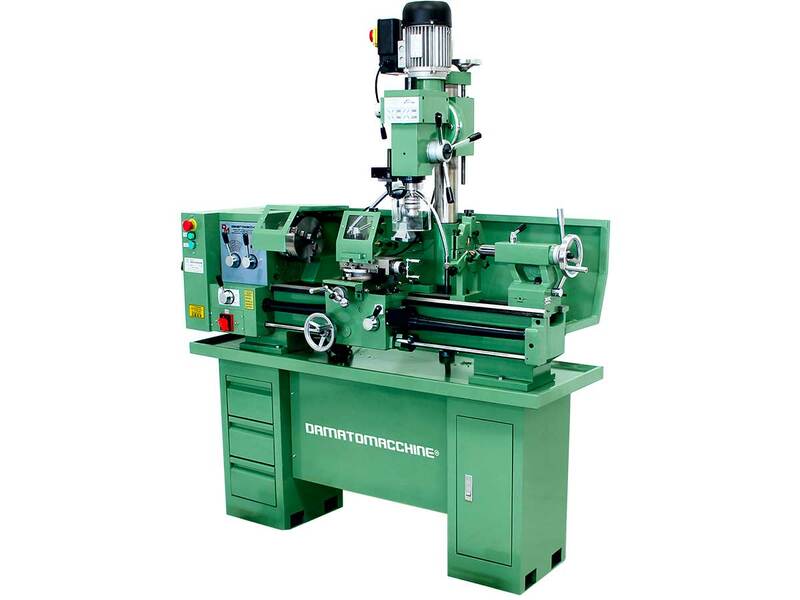 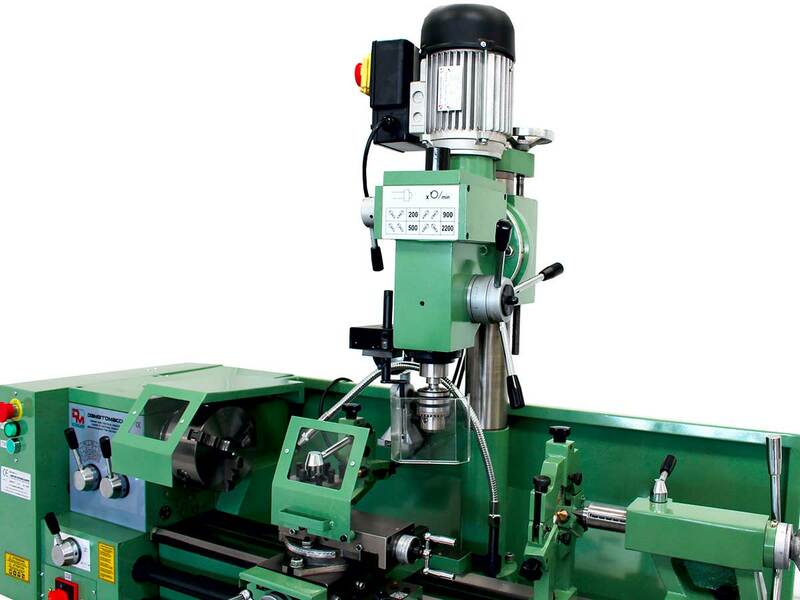 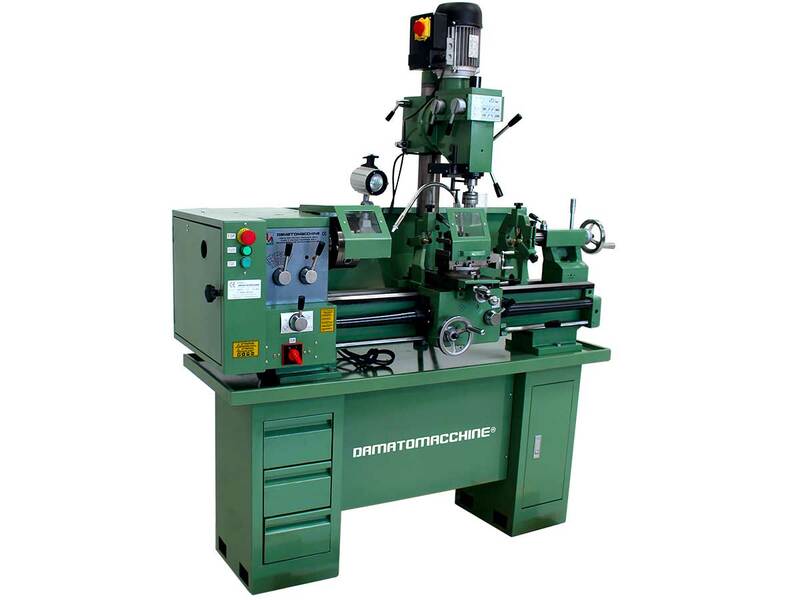 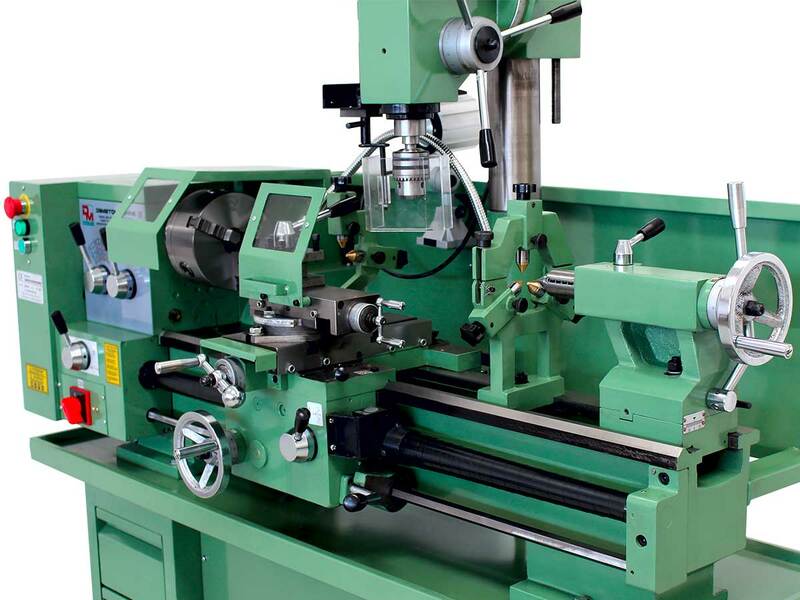 The lathe has a distance between centers of 800 mm, a maximum swing over bed of 320 mm, milling head rotating and adjustable height, automatic cross slide-table performing metric and inch threads and two single-phase motor ( 750 W on the milling machine and 1500 W on the lathe). 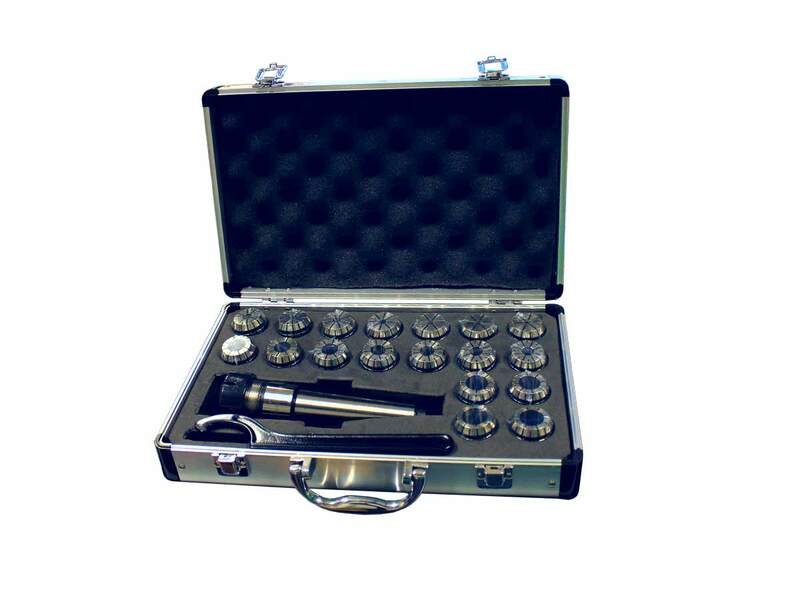 It has a cooling pump and a lamp for direct lighting. 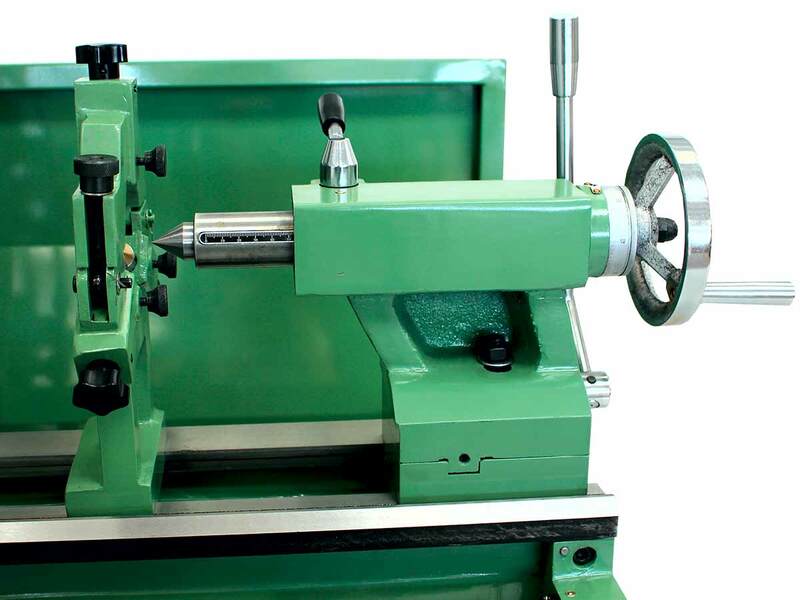 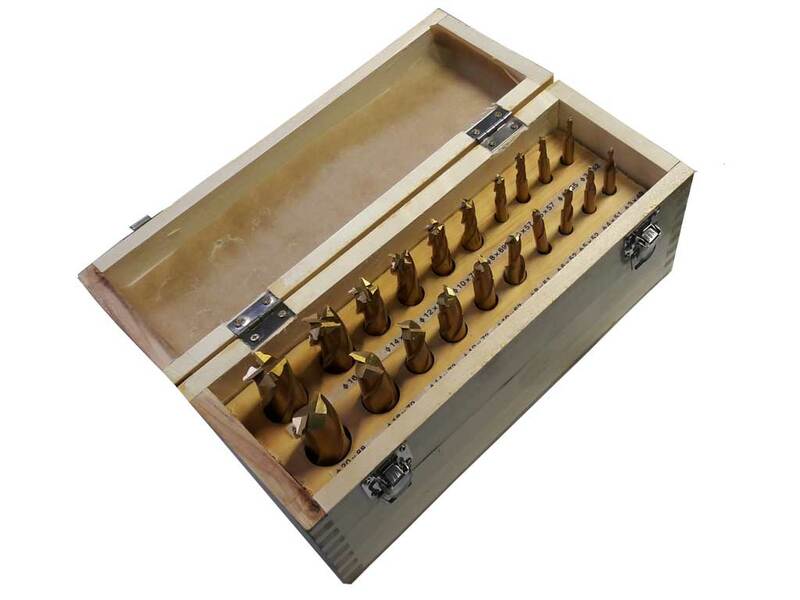 It sold in standard configuration with a lathe chuck three jaw (three internal and three external), two dead centre, the tailstock, the carriage feed, the steay rest and follow rest, the metal base, all the internal gears changing type of thread and the kit of keys for mounting of the gears.